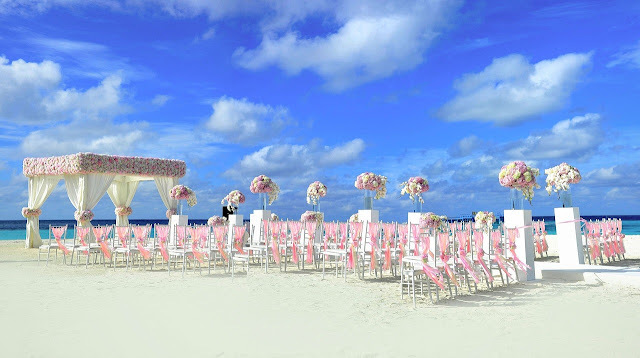 IWED Global has some awesome tips on how to achieve killer wedding decor. Here are five of them. 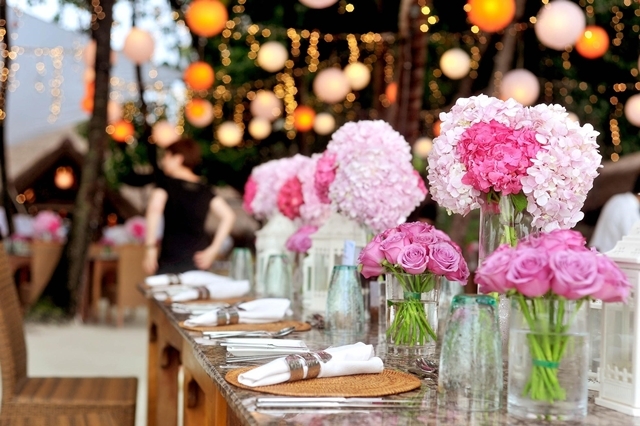 Most people like to go for one or two, maybe even three colors when doing their wedding decor. There’s nothing wrong with this, and some amazing decor systems have been built using only two colors in some weddings. However, if you want your decor to have a more consistent theme and the "it" factor, then you’re going to have to think about using a color palette. You could do it by having different shades of the same color or by having a main color and then coordinating other colors to it. That way your decor will be a lot richer and have more depth. Who said you have to go for just one texture in your decorations? You have many elements that go into making your decor. There are sashes, chair covers, linens, and so on. The beauty of it is that they come in a variety of fabrics which you can use to your advantage. You don’t have to get everything to match exactly. 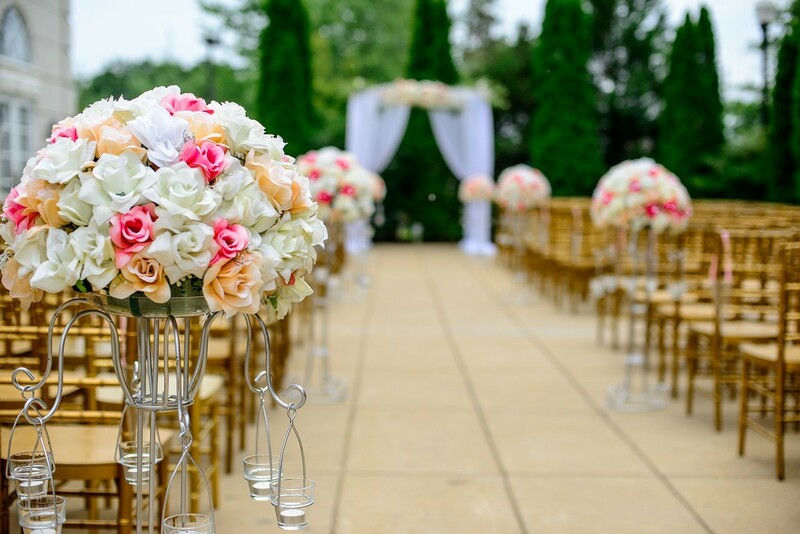 It’s certainly going to breathe life into your wedding decor. 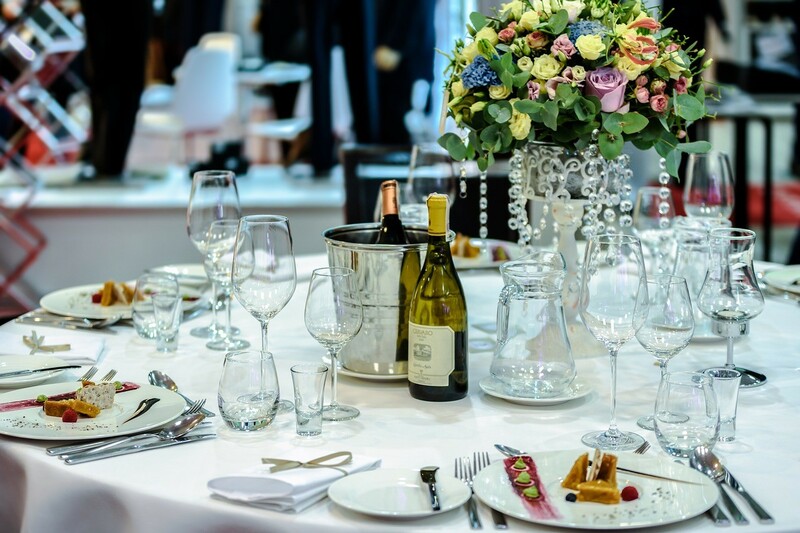 Most people are used to walking into a wedding and seeing one shape or style to the tables there. You don’t have to play along with the scheme of things. Get some round tables and some square ones. Get some that are high and some that are low. Let there be a playful variety in the shapes and styles of your wedding furniture. Make sure you coordinate it to look consistent and organized and your guests will be wowed. 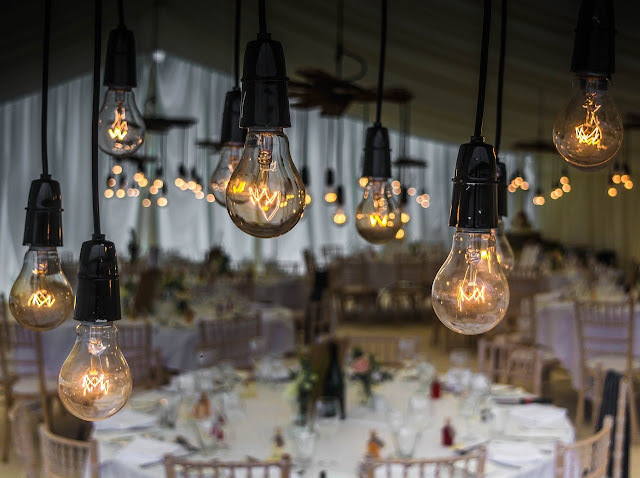 These days a wedding isn’t much of a wedding if the lighting wasn’t "designed." 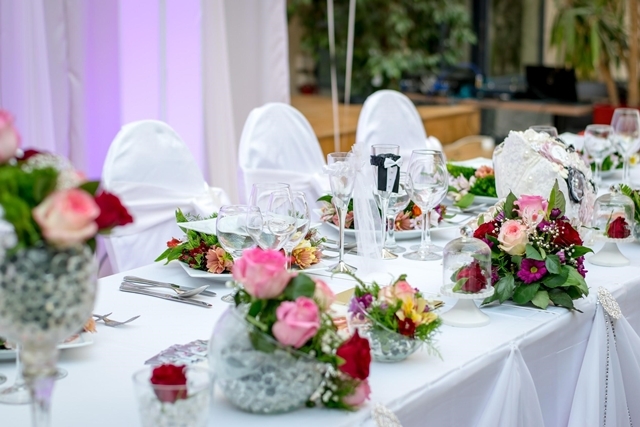 It has become as common a part of weddings as the flowers or centerpieces. With different colored lighting, you can control and set the mood in a room. You can use warm amber shades for the dinner and colorful pinks, purples and reds for the dance session to get everyone in the mood to party. With lighting, the only limit to what you can do is your imagination, so set your imagination free. With decor, the cheapest way to have incredible decor is to choose the right surroundings in the first place. If you want a garden-style reception, then you’re better off getting an actual garden than trying to use decor to transform a ballroom into a garden setting. Use your surroundings to your advantage to make your decor pop. Not all wedding venues are equal, and not all churches are the same. 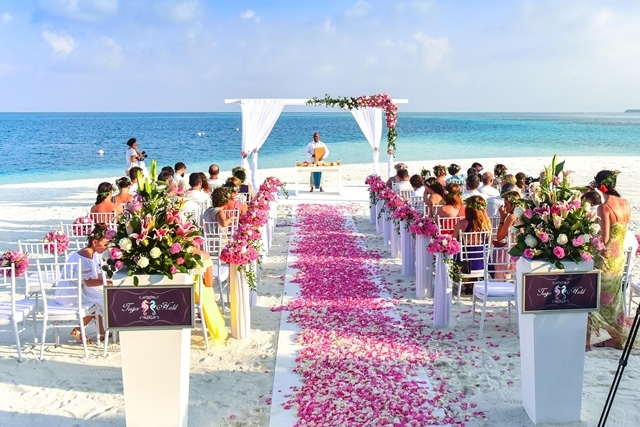 The venue you chose is the most important piece of decoration because it sets the tone for the wedding. The first thing your guests will see when they come to your wedding isn’t you — it’s the venue. Not only that one but the interior of the venue is the largest piece of decoration that there is. Out of everything we talked about, choosing the right location for your wedding will be the most important thing to consider.